This article is about the monarchy of Papua New Guinea. For information on the other countries which share the same person as monarch, see Commonwealth realm. The responsibilities of the sovereign, and of the governor-general, under the Papua New Guinean constitution, include summoning and dismissing parliament, calling elections, and appointing governments. Further, Royal Assent or the royal sign-manual are required to enact laws, letters patent, and orders in council. But the authority for these acts stems from the country's populace, in which sovereignty is vested, and the monarch's direct participation in any of these areas of governance is limited, with most related powers entrusted for exercise by the elected and appointed parliamentarians, the ministers of the Crown drawn from amongst them, and judges. Papua New Guinea shares equally the same sovereign with fifteen other monarchies (a grouping, including Papua New Guinea, known informally as the Commonwealth realms) in the 52-member Commonwealth of Nations, with the monarch residing predominantly in the oldest and most populous realm, the United Kingdom, and a viceroy acting as the sovereign's representatives in Papua New Guinea. The pan-national Crown has both a shared and separate character and the sovereign's role as monarch of Papua New Guinea is distinct to his or her position as monarch of any other realm, including the United Kingdom. Only Papua New Guinean ministers of the Crown may advise the sovereign on matters of the Papua New Guinean state. This division is illustrated in a number of ways: The monarch, for example, holds a unique Papua New Guinean title, granted by the constitution—Elizabeth the Second, by the Grace of God, Queen of Papua New Guinea and of Her other Realms and Territories, Head of the Commonwealth—though, the monarch is typically styled Queen of Papua New Guinea and is addressed as such when in Papua New Guinea or performing duties on behalf of Papua New Guinea abroad. Colloquially, the Queen is referred to as "Missis Kwin" and as "Mama belong big family" in the creole language of Tok Pisin. Further, when she and other members of the Royal Family are acting in public specifically as representatives of Papua New Guinea, they will use, where possible, Papua New Guinean symbols, including the country's national flag. The sovereign similarly only draws from Papua New Guinean coffers for support in the performance of her duties as Queen of Papua New Guinea; citizens do not pay any money to the Queen or any other member of the Royal Family, either towards personal income or to support royal residences outside of Papua New Guinea. Normally, tax dollars pay only for the costs associated with the governor-general as an instrument of the Queen's authority, including travel, security, residences, offices, ceremonies, and the like. Unlike in most other Commonwealth realms, sovereignty is constitutionally vested in the citizenry of Papua New Guinea and the preamble to the constitution states "that all power belongs to the people—acting through their duly elected representatives". The monarch has been, according to section 82 of the constitution, "requested by the people of Papua New Guinea, through their Constituent Assembly, to become [monarch] and Head of State of Papua New Guinea" and thus acts in that capacity. The document thereafter sets out the role and powers of the monarch. The monarch is represented by the Governor-General of Papua New Guinea—appointed by the monarch upon the nomination of the National Parliament of Papua New Guinea. The monarch is informed of the prime minister's decision before the governor-general gives Royal Assent. 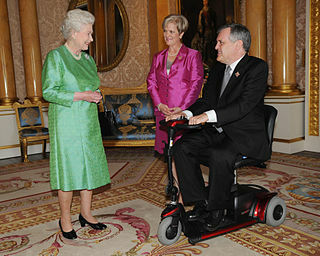 Most of the Queen's domestic duties are performed by the governor-general. The governor-general represents the Queen on ceremonial occasions such as the opening of parliament, the presentation of honours, and military parades. Under the constitution, he or she is given authority to act in some matters, for example in appointing and disciplining officers of the civil service and proroguing parliament. As in the other Commonwealth realms, however, the monarch's role, and thereby the viceroy's role, is almost entirely symbolic and cultural, acting as a symbol of the legal authority under which all governments operate and the powers that are constitutionally the Crown's are exercised almost wholly upon the advice of the Cabinet, made up of Ministers of the Crown. Since the death of Queen Anne in 1714, the last monarch to head the British cabinet, the monarch "reigns" but does not "rule". In exceptional circumstances, however, the monarch or viceroy can act against such advice based upon his or her reserve powers. There are also a few duties which must be specifically performed by, or bills that require assent by the Queen. These include: signing the appointment papers of governors-general, the confirmation of awards of honours, and approving any change in her title. The constitution provides that the Queen's heirs shall succeed her as head of state. Unlike some realms, but as with others, Papua New Guinea defers to United Kingdom law to determine the line of succession to the Papua New Guinean throne. As such, succession is by absolute primogeniture and governed by the Act of Settlement 1701, the Bill of Rights 1689, and the Succession to the Crown Act 2013. This legislation lays out the rules that the monarch cannot be a Roman Catholic and must be in communion with the Church of England upon ascending the throne. All laws in Papua New Guinea are enacted with the sovereign's or viceroy's approval, the granting of which to a bill is known as Royal Assent. The viceroy may reserve a bill for the monarch's personal decision on the bill; the monarch has the power to disallow a bill within a time limit specified by the constitution. The sovereign is deemed the "fount of justice," and is responsible for rendering justice for all subjects. The sovereign does not personally rule in judicial cases; instead, judicial functions are performed in his or her name. Common law holds that the sovereign "can do no wrong"; the monarch cannot be prosecuted in his or her own courts for criminal offences. Civil lawsuits against the Crown in its public capacity (lawsuits against the government) are permitted; however, lawsuits against the monarch personally are not cognizable. 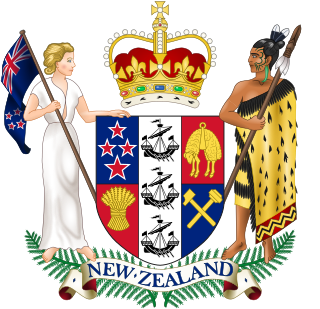 The sovereign and, by extension, the governor-general, also exercises the "prerogative of mercy" and may pardon offences against the Crown. Pardons may be awarded before, during, or after a trial. 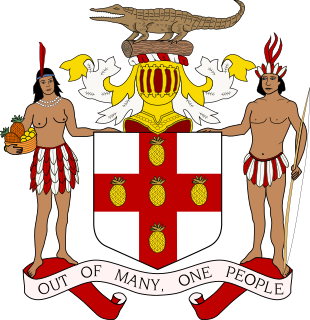 The legal personality of the state is referred to as "Her Majesty the Queen in Right of Papua New Guinea." 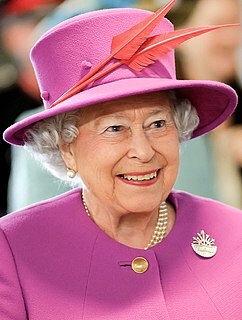 For example, if a lawsuit is filed against the government, the respondent is formally described as Her Majesty the Queen in Right of Papua New Guinea. 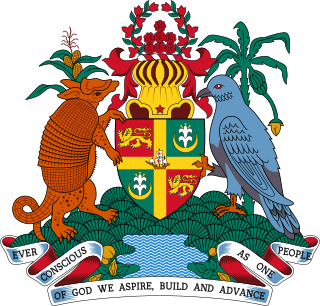 The current monarchy's origins lie in the proclamation in 1884 of a British protectorate along the south coast of New Guinea and adjacent islands. After being fully annexed into the British Empire in 1888, the territory was placed in 1902 under the authority of the Crown in its Australian parliament and council. The northern area of New Guinea was a territory of the imperial German Crown until Australia seized the area during the First World War. Papua New Guinea (PNG) was toured by Prince Charles (later the Prince of Wales) in 1966, while he was a student in Australia. He returned in 1975 to represent the Queen at PNG's independence celebrations. He then opened the new parliament building in Port Moresby. ^ a b c Royal Household. "The Monarchy Today > Queen and Commonwealth". Queen's Printer. Retrieved 18 August 2013. ^ Scott, F. R. (January 1944). "The End of Dominion Status". The American Journal of International Law. American Society of International Law. 38 (1): 34–49. doi:10.2307/2192530. JSTOR 2192530. ^ Waiko, John Dademo (1993). A Short History of Papua New Guinea. OUP Australia and New Zealand. ISBN 978-0195531640. ^ Waiko, John Dademo (2003). Papua New Guinea: A History of Our Times. Oxford University Press. ISBN 978-0195516623. 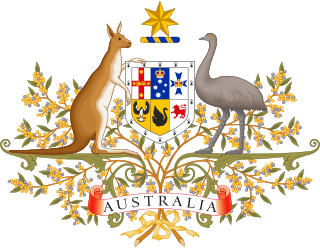 The Succession to the Crown Act 2015 is the name of an act of the Commonwealth Parliament of Australia, enacted at the request of all six Australian states under section 51(xxxvii) of the Australian Constitution. The Australian acts were the final part of the Perth Agreement's legislative program agreed by the prime ministers of the Commonwealth realms to modernise the succession to the crowns of the sixteen Commonwealth realms, while continuing to have in common the same monarch and royal line of succession. as was the case at the time of the Statute of Westminster 1931.